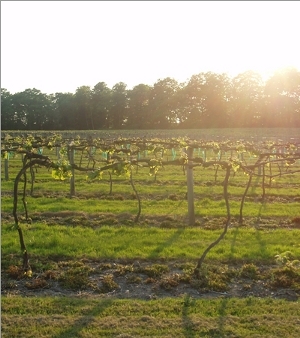 Word from the Purbeck Vineyard in Dorset sees the 10th October as being the most likely date for the harvest to begin. This vintage is set to produce an ‘outstanding harvest’ both in terms of quality and quantity. Purbeck Vineyard is a small, family run estate amounting to some 3,000 vines covering Chardonnay, Pinot Noir, Seyval Blanc and Phoenix varieties planted across 2 acres of land only minutes from Dorset’s famous Jurassic coastline. The annual harvest at the Purbeck Vineyard involves a gathering of friends, family and the local community volunteering to cut the grapes by hand from the vines. The winemaking team provide instruction on grape picking and then family and friends roam the vines, harvest the grapes, watch the fruit being pressed and even have a taste of the juice which, following fermentation, produces a range of English wine including Studland Ruby and Kimmeridge Mist. At the end of the harvest the pickers share their stories over a complimentary traditional harvester’s lunch. Further north in Oxfordshire Carol at the Brightwell Vineyard reports they enjoyed excellent weather during June’s fruit set and late summer sun during September. They are looking forward to a good year for English wine. Brightwell Vineyard played host to a little bloggers visit earlier in the year; a report is on Spittoon. —Andrew Barrow is the author of Spittoon, one of the top wine sites on the internet. A member of the prestigious UK based Circle of Wine Writers and WSET Diploma holder it would appear that total immersion in the online world of wine (with a sideline in food) is just a step away. Andrew Barrow is the author of Spittoon, one of the top wine sites on the internet. A member of the prestigious UK based Circle of Wine Writers and WSET Diploma holder it would appear that total immersion in the online world of wine (with a sideline in food) is just a step away. Travel and photography are keen interests; I use my own images to illustrate the articles on spittoon and spittoonextra many of which I am mighty proud! Ha. Who is this man who rails against the glorious Reisling grape and yet then writes about the glorious 2009 vintage in England? Talk about tall dwarf prizes – oh, how good the 2009 Reichensteiner, Bacchus and Huxelrebes will be….hahahahahaha He may like to see himself in print but if they built road through all the English vineyards it wouldn’t matter.